What is normal? Is it what society thinks is the right thing? Is it what the Bible says? 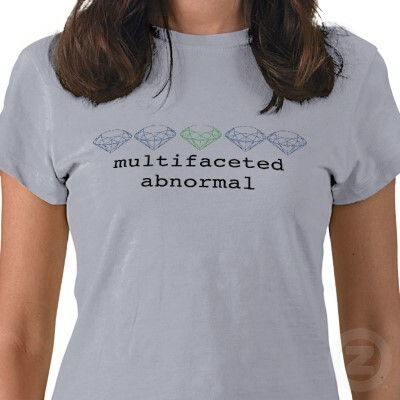 Or…is there really a normal? Webster defines such word as conforming to the standard or the common type, usual, not abnormal, regular and natural. So many different avenues for this word making it difficult not to fit into who we are, yet this word is used to judge so many people. Someone who is blind is judged as not normal. Someone who was born with appendages not correctly formed is considered abnormal. Persons with disabilities, shy people, those with personality disorders, those who are too short or too tall. What can we possibly call normal? If normal is defined as conforming, then we are going against the Biblical principal of not conforming to this world. If normal is natural, then why are we trying so hard to fit in to the “norm” of society? As I pondered on this issue today I came to the realization I have no desire to be normal. I want to be different. I want to stand out and not blend or fit into anything. I am unique in the way God made me, just like He made us all so different from each other. Why do we try so hard just to be normal? I often wonder what it would be like if we tried hard not to be normal? Would we begin to see ourselves in a better light? Perhaps we would begin to accept ourselves for who we were made to be. Maybe once we stopped trying to be normal we could begin to see how we fit into God’s plan and we would care a little less about all the other people around us who are trying to draw us away from what we are to become. Once we stop being normal, what would happen to our outlook and personality? If we could just relax and wear what we like to wear or fix our hair to our liking not the latest fashion magazine we could begin to find freedom. True freedom in who we were created to be. We would stop listening to the people around us who seem to always bring us down with just a few choice words. We would stop accepting the negativity in our lives. We could actually blossom into this beautiful person we were designed to be. The person God needs us to be so that we can fulfill our destiny. I know, being abnormal means getting out of your box. To step out away from the norm. To be different. To stand out from the crowd. To be a beacon in the distance because we chose to rise above the norm of the world. When we decide not to be normal we open ourselves up to a realm of possibilities we never saw possible. We give ourselves the opportunity to be promoted by God into places we thought we would ever get to. When we choose the “not normal” life we become more true to ourselves. We arise from the crowd as truthful and trustworthy. 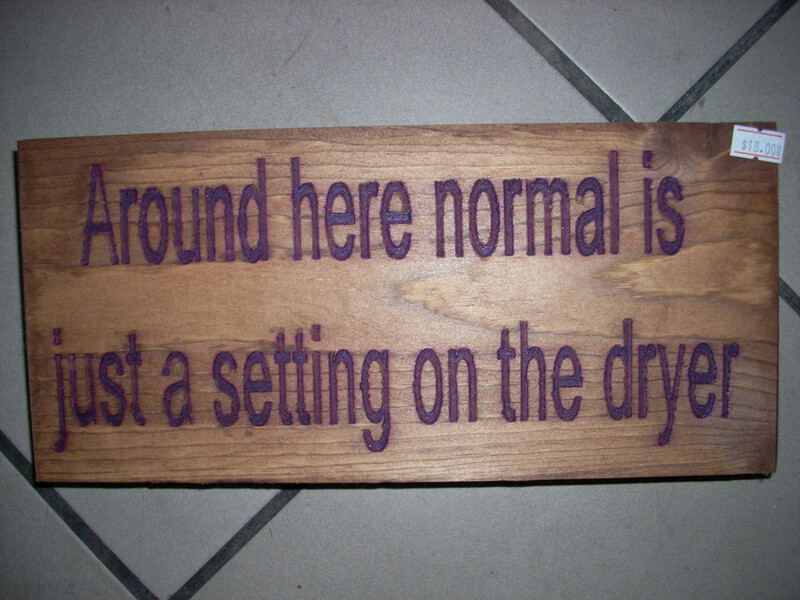 A very wise person once told me, “Normal is just a setting on a dryer.” Is this all we want to become? A person in society that can be set in a certain parameter for the rest of our lives, leading a boring life of just fitting into the spot we think “belong”? Not me, I choose to press into the things of God so that I may be the most abnormal person you know. I want to rise above the normal crowd and be a beacon of light that will help lead God’s people out of their boxes. I long to be different than all the rest so that God can begin to use me in places I never dreamed I could be used. I refuse to be categorized as a setting on a dryer! Who is with me? My kids call me “weird”… I say “thank you”… I have NEVER been “normal” and, thankfully, can never be! God bless you, Brenda!!! Good word!! !